Photographs will highlight the variety and uniqueness of Staten Island Parks and Natural Areas. Each month will be represented by a photograph of that season and selected based on quality, content and ability to capture the natural beauty of Staten Island with a goal to highlight a park or natural area. An Ad Hoc Committee consisting of PPOW Board Members and Staten Island Naturalists has been created to select the photographs to be used in the calendar. Join Hillel Lofaso for a cool summer walk along the white Buck’s Hollow trail to the Meisner Dam and then Moses Mt. Bring beverage and snack. Some minimal wet walking. Meet at the Greenbelt Nature Center parking lot. We go in all weather. For more information, phone Hillel at (718) 477-0545. Habitat Specialists at High Rock Park. High Rock Park hosts some unique aquatic habitats. Freshwater wetlands, swamps and ephemeral kettle host an assortment of associated specialized dragonflies. Participants will visit the diverse wetlands within High Rock to view, investigate and discuss the unique dragonflies found in the different areas. Participants will meet at the High Rock Park parking area atop Nevada Avenue. For more information call Seth Wollney at (718) 619-5909. Participants will explore portions of the bluebelt wetlands within Blue Heron Park to see how this civil engineering project works to support local dragonfly populations. Designed as an alternative to costly, unsightly sewer projects, the bluebelt system of Staten Island has proven to offer critical habitat for wildlife on the island. Dragonflies have taken advantage of the wetlands systems and none so much as that found in Blue Heron Park. Participants will meet at the Blue Heron Park Nature Center at 222 Poillon Avenue. For more information call Seth Wollney at (718) 619-5909. This summer, participants will be starting at the Greenbelt Nature Center at Rockland and Brielle. Participants will enjoy a walk among the cool, shaded woodlands of the Greenbelt. The walk will bring folks beside Buttonbush Swamp, Heyerdahl Hill and through Bloodroot Valley. Explore the summer woods, the birds and butterflies which populate the park as well as the flowers, shrubs and trees in full foliage this time of year. Bring water and a lunch, and join us for a long walk through the Greenbelt that will both loop west around the valley of LaTourette and east around Pouch Camp. For more information call Dominick Durso at (917) 478-7607. 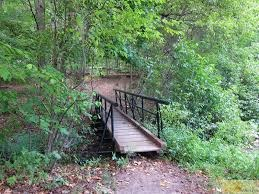 This is a loop walk along the converging trails through the lovely woods of LaTourette Park. 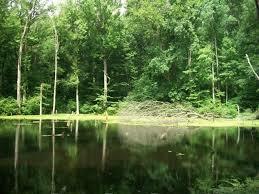 This time we’re meeting at Meisner and Rockland Avenues by the stone dam at the Bluebelt pond. We’ll pass Buttonbush swamp and a grove of unique Persimmon trees. This hike is covered in Secret Places of Staten Island by Bruce Kershner (Kendall/Hunt, 1998). For more information, e-mail Hillel Lofaso at hillel5757@gmail.com or call 718-477-0545. Join with curious, novice and studied members of Protectors as we explore the wild streets of Eltingville. Our neighborhoods are alive with birds and butterflies, trees, flowers and shrubs. Investigate what lies below the canopy of street trees, where birds nest and butterflies nectar. Enjoy a stroll along residential streets and search for the mammals that use our homes as their own. Participants are asked to meet at the corner of Amboy Road and Richmond Avenue. For more information call Cliff Hagen at (718) 313-8591 or email him at chagen72@gmail.com. You are receiving this email because you are a member and/or attended our event.